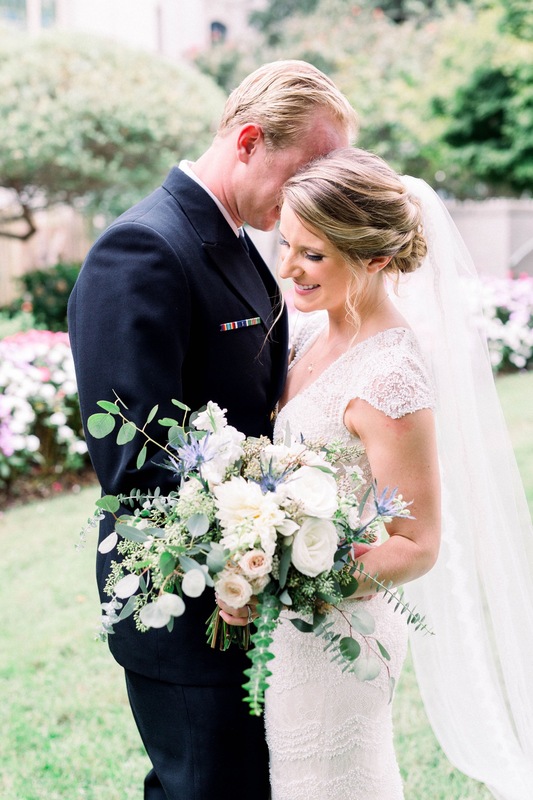 Kara and Conor’s Annapolis Naval Academy Wedding was such a beautiful day! Their Naval Academy ceremony was a first for us, and honestly we were looking forward to exploring the academy. The naval academy grounds are so gorgeous from the perfectly kept gardens to the architecture of each and every building! It is such a fun moment to capture the wedding of graduates…especially ones that met at the academy. Kara was simply stunning in her timeless Catherine Deane gown, and the beautifully coordinated BHLDN bridesmaid dresses were some of our favorites to date. We were so honored to take part in Kara and Conor’s Naval Academy wedding, and wish them all the best!